This is an English habitation name from two places in Yorkshire, Kiplin in North Yorkshire, which is derived from the Old English pre 7th century “Cyppelingas” people of Cyppel, which was an Old English personal name and secondly from Kipling Cotes in East Yorkshire, derived from the Old English “Cybbelingcot” meaning “the cottages of Cybbel’s people”, Cybbel being another ancient personal name. Kipling is recorded in the Domesday Book of 1086 as “Chipeling” and Kipling Cotes as “Climbicote”. The English author, Rudyard Kipling (1866-1933), who wrote such favourites with young and old as “The Jungle Book” and “Just So Stories” came from a Yorkshire family who were mainly small farmers and craftsmen. The first recorded spelling of the family name is shown to be that of James Kiplynge which was dated Christened 10th January 1564, Thirsk, Yorkshire. during the reign of Queen Elizabeth 1, known as “Good Queen Bess”, 1558 – 1603. It would seem as if there has only been one family in Grewelthorpe with the name Kipling. According to the 1891 census and Grewelthorpe school records and research done by descendant Peter Kipling, we can piece together a bit of the life of this famly. Jane Kipling moved to Grewelthorpe from Long Newton probably in 1889 / 1890 after the death of her husband William. He died in October 1889 in Long Newton and was buried there. We are not sure why Jane moved to Grewelthorpe with her 4 children and her brother Henry Herring, but she became the Publican at the Royal Oak Inn in Grewelthorpe. According to school records Henry, Annie & Thomas Kipling started school in February 1890. Robert the youngest child started school in September 1891. The school register records that the family moved away to Ripon in 1899. The 1901 census shows Annie & Thomas in Ripon. Robert & Harry [Henry] have gone back to Long Newton. Harry was a painter. Annie had an illegitimate son who was brought up by a Ripon family that had a haulage business. They worked with loads to and from Theakstons Brewery in Masham just after WW1. Peter added more information in November 2015. Nigel Copsey’s letter is of interest. When my father, Frank, enlisted in the Army in January 1926 he declared that William Morley of Red Lane, Masham was his “adopted father”. I remember tales told by my father of wagons and horses owned by the Morley family (and a chest of coins at the end of William’s bed! ), and hence the “haulage company” reference may have been an exaggeration – although my father did claim to have met “Old Man Theakston” at the brewery several times when they were loading barrels. I was taken to Ripon when I was about five to meet the family that looked after him as a child. I remember that they had a daughter called Robina. In reply to Rita Ward’s comments. I have now traced (with the help of the Kipling Family Tree team) my line of Kiplings through Grewelthorpe and Long Newton back to one Dorothy Kipling born in about 1692. She had been taken in and raised by her uncle, Thomas Kipling of Mellwaters (near Bowes), presumably on the death of her parents (John and ? Kipling ). Although mentioned as a part of the immediate family in Thomas’s will, she is not described as his real daughter. She had three children out of wedlock, albeit that two were with a long term partner, Charles Bailey. The children all kept the Kipling name. Peter Kipling would like to hear from anyone with more information about the Kipling family. Rita Ward Sent the following information. I have traced my family history & found Wm Kipling was my grandfathers Great grandfather (1768-1835). I then traced Wm.Kipling (in Stoney Keld, Bowes) back through the Bowes Parish records to the 1600’s. I also found Thomas Kipling (from Bowes) who was Dean of Peterborough & his father Wm.Kipling was a cattle salesman in Bowes. Nigel Copsey sent the following letter 7 April 2015. Hi, doing some casual research into the Morleys of Grewelthorpe I came across this page focusing on the Kiplings. Frank Kipling lived with my great-grandfather William and grandfather Isaac William. Both were landlords of the Crown at different times and my mother Sybil May was born at the Pub. I am intrigued that Annie’s son Frank lived with a &#8216,haulage company’, though maybe this exaggerates the scale of the enterprise. Frank was certainly with them by the age of three and remains a passed on memory in the family. ANNIE LILIAN KIPLING. Born 2.7.1881 Long Newton. Dau of William & Jane Herring. Started at Grewelthorpe school 10.2.1890. Left for Ripon 1899. In 1911 she was housekeeper for her cousin Joseph in Long Newton. Information from Peter Kipling. “My grandmother, Annie Kipling, went back to Long Newton after leaving my baby father, Frank, in Masham with the Morley family sometime around 1908/09. He never knew that she was alive, and lived happily until the 1970’s. She did get married in 1918 and moved away from Long Newton for a time, but after her husband’s death moved back to the family in Long Newton. They looked after her until her death and she is buried as Annie Jobling close to the family plot in the village church. DOROTHY KIPLING. Born C1692. See Peter Kipling’s letter above. FRANK KIPLING. Born C1908. Son of Annie. 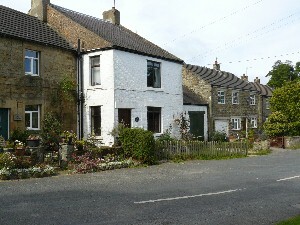 In 1911 he was living in Masham with William Morley. & family. Peter Kipling thinks that this is The William Morley who was innkeeper at Crown Inn Grewelthorpe in 1901. JANE KIPLING [Nee HERRING]. Born C.1863 Stainton Co.Durham. Died 1900 Wharfedale. Buried Long Newton. Married William Kipling pre 1879. Long Newton. Jane was a Publican in Grewelthorpe. Sister of Henry Herring. HENRY KIPLING [HARRY]. Born 28.7.1879 Long Newton. Son of William & Jane Herring. Started at Grewelthorpe school 11.2.1890. Left for Ripon 1899. Became a telegraph boy and then a painter. THOMAS KIPLING. Born 21.5.1884 Long Newton. Son of William & Jane Herring. Started school at Grewelthorpe 17.2.1890. Left for Ripon 1899. In 1911 he was a gardener living with his cousin Joseph in Long Newton. ROBERT EDWARD H. KIPLING. Born 19.10.1886 Long Newton. Son of William & Jane Herring. Started school at Grewelthorpe 21.9.1891. Left for Ripon 1899. In 1911 he was a butcher in Long Newton living with his cousin Joseph. WILLIAM KIPLING. Died 1890 Long Newton. Carpenter. Married to Jane. Father of William. WILLIAM KIPLING. Died October 1889 Long Newton. Buried Long Newton. Son of William & Jane. Husband of Jane Herring. William was a Carpenter. Oak House Grewelthorpe which was originally The Royal Oak Inn.